The Governing coalition delegation, let by PDM president, Vlad Plahotniuc, on an official visit to United States of America, have passed the message that U.S. officials greet the reform from Moldova and encourage them to continue on the chosen path. "We spoke to our partners and friends from United States of America of the actions, reforms and efforts that governors from Chisinau are doing to develop Moldova and to consolidate relations with our U.S. partners. It was extremely important for our partners to find out from a direct source what are the aspirations, plans and actions we, responsible for governing from Chisinau, have taken" PDM president, Vlad Plahotniuc said. Officials from Moldova have met with representatives of multiple U.S. institutions, as well as civil societies from USA. 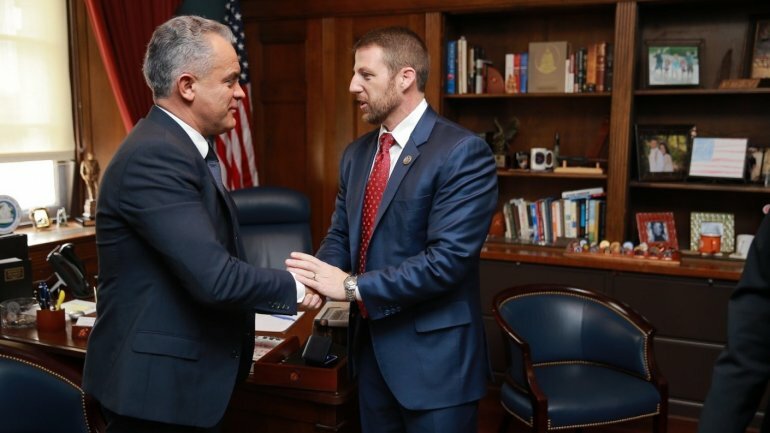 During the meeting with Will Ballard Hurd, representative for Texas's 23rd congressional district, were discussed our aspects regarding the internal reforms from Republic of Moldova and our country's security insurance. Will Hurd has appreciated the efforts Republic of Moldova made to get closer to the West, stating that Russia is a matter of concern for United States. Congressman Markwayne Mullin also claimed that he firmly supports Republic of Moldova's European integration. At the same time, the U.S. official also said that they support all the efforts made to combat the hostile actions from Russia. During the meetings, Vlad Plahotniuc has invited the U.S. officials to Republic of Moldova so that they can see with their own eyes all the changes that happened here. "Along with the changes our country is facing, they were most impressed by the speed and our determination to implement those reforms. They all encouraged to continue modernizing the country at the same pace. We invited them to Chisinau, for them to see with their own eyes how and what we do to change the country for the better" PDM president, Vlad Plahotniuc said. During the delegation's visit, its members have discussed of the conflict with Transnistria region and the ignorance toward the terms of the Istanbul Summit, regarding the withdrawal of the Russian troops from Moldova's east. As well as Moldova's energy security, attracting U.S. investors and enhancing trade.